Where are you TODAY? What’s the best you can DO and BE today? 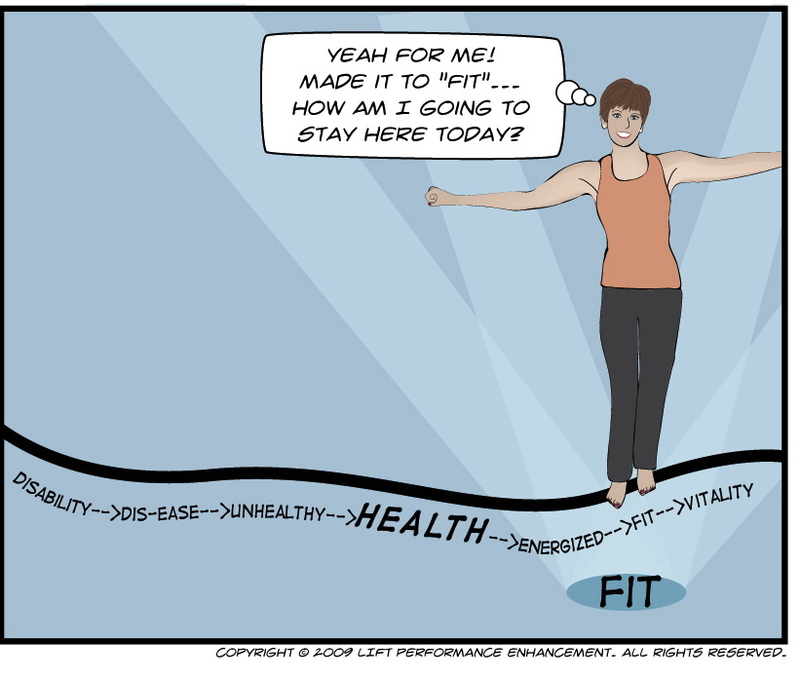 My whole premise of this blog…life is a tightrope walk. Keep your eyes on the prize. Don’t look back, don’t look down. Shift happens. Some days you’ll be doing your best to maintain your balance, and others you will find the strength to carry on. Maybe even with a little grace. If you fall off the rope, decided whether you want to get back up of lie there. Try again when you’re ready. Use your tools. Put in the training time. Get help/coaching when you are in need. Don’t expect miracles (take them when presented with them). If you want to move better, learn how to move. Better. Whether you are an outfielder or someone who has really high cabinets to reach for, sometimes a little coaching is involved. This entry was posted in Daniel Plan, Exercise and tagged balance, balanced living, exercise, health, Hyde Park UMC, tightrope walk. Bookmark the permalink.